Image-guided biopsy in patients with suspected ovarian carcinoma: a safe and effective technique? In patients with suspected advanced ovarian carcinoma, a precise histological diagnosis is required before commencing neo-adjuvant chemotherapy. 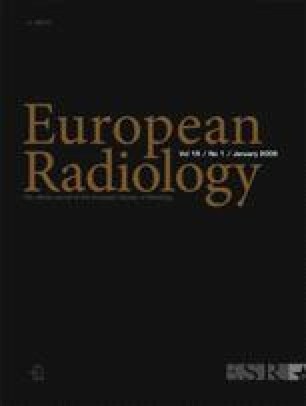 This study aims to determine the diagnostic accuracy and complication rate of percutaneous biopsies performed under ultrasound or computed tomography guidance. Between 2002 to 2007, 60 consecutive image-guided percutaneous biopsies were performed in patients with suspected ovarian cancer. The following variables were recorded: tissue biopsied, imaging technique, experience of operator, biopsy needle gauge, number of passes, complications, and final histology. Forty-seven patients had omental biopsies, 12 pelvic mass biopsies, and 1 para-aortic lymph node biopsy. Thirty-five biopsies were performed under ultrasound, 25 under computed tomography guidance. Biopsy needle gauges ranged from 14–20 swg with two to five passes for each patient. There were no complications. Histology was obtained in 52 (87%) patients. Percutaneous image-guided biopsy of peritoneal disease or pelvic mass is safe with high diagnostic accuracy. The large-gauge biopsy needle is as safe as the small gauge needle, but has the added value of obtaining tissue samples for immunohistochemistry and genomic studies.